A very well looked after Broom 35 European powered by twin Volvo TMD40 diesel engines that have have undergone extensive refurbishment by Northgate Marine last year having covered only 50 hours since. She really is in very good condition and includes a full inventory including cutlety, crockery, lifejackets and TV etc. She is in original gelcoat withe no signs of damage. Internally the upholstery and carpets are very good and there are no signs of leaking windows or stained woodwork. One of the best examples I have seen. 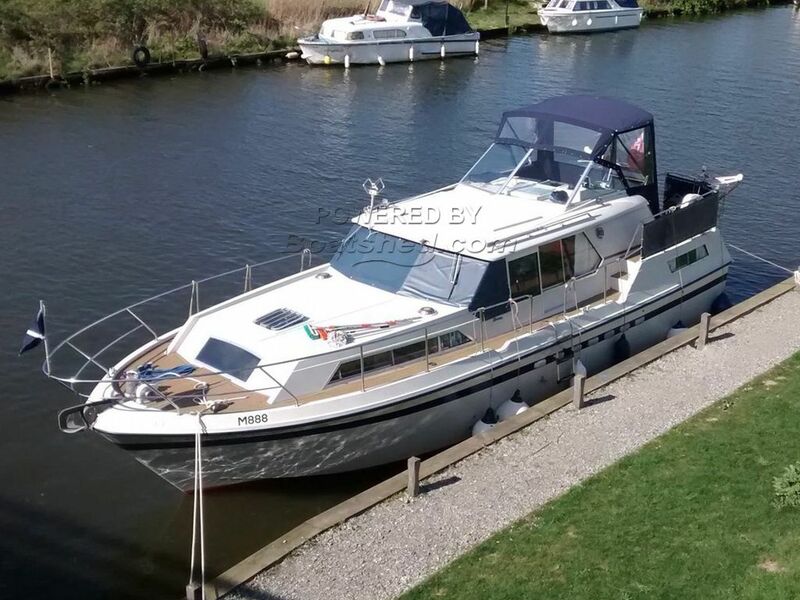 This Broom 35 European has been personally photographed and viewed by Gary of Boatshed Norfolk. Click here for contact details.